Social media accounts are not only the mediums of connecting with your social circle but it is turning into a great source to earn some money as well. Here, almost all social media accounts leverage you to earn money and promote your brand in different ways. You can use these amazing social media platforms to aware, promote, and sell your products (including digital and physical) to your target audience effortlessly. While there are multiple ways you can earn money through social media, here we have discussed top 5 ways to do that. If you have a decent number of followers on your social media accounts then this could be the first step you can follow to earn some quick money. Here, may big players including Amazon offers you to become an affiliate for their products and earn handsome money. Once you become an affiliate, you will get unique affiliate links to promote products of other companies. Once someone clicks on these links and make a purchase you will get a commission for that. There are various affiliate networks that offer amazing payout, it includes Amazon, CJ Affiliate, Rakuten, Booking.com etc. While posting affiliate links in your social media communities, remember not to spam instead try to write a review with the product you are sharing the link for. Also, include a disclaimer for your affiliate links as it will help you build trust in communities on your social media account. 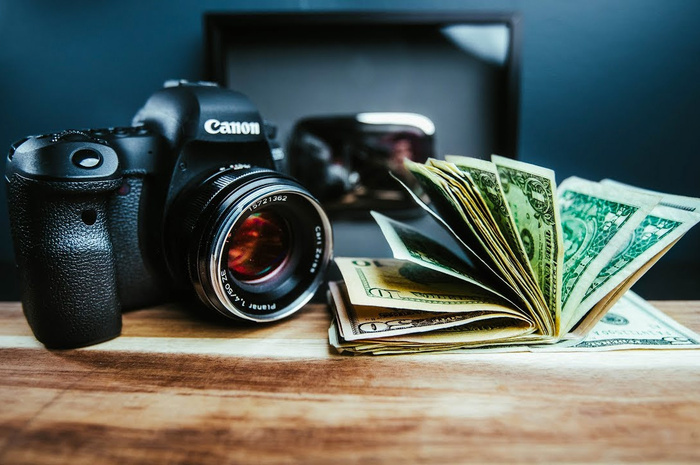 It may sound interesting to many as one can earn money selling photos. If you are avid Instagrammer then you have great opportunity to showcase your work and earn some quick cash. Here, you can specify a niche for yourself and start putting photos related to that. While your active participation on your Instagram account will help you build your portfolio it will also help you find buyers for your work. Additionally, while renting out the photos, remember to keep original copies so that you can sell or share them anytime you want. If you are selling any physical or digital product already then social media could help you boost your sell significantly. And if you are starting from scratch than selecting digital products like eBook, courses etc. could help you kick-start your journey in an easier manner. For instance, if you have launched your eBook and list it with Amazon Kindle then you can share this affiliate link on your social media accounts for better exposure. Here, you can promote your products directly on various social media accounts for instant exposure and results. Further, if you are selling physical products of your own then you need to take care of other aspects as well including shipping, logistics, customer care etc. If you love to make and share videos than social media can help you tremendously. Here, YouTube is one of the best platforms you can follow to upload and share video content effortlessly. On YouTube, you can create promotional videos of your products and share them even on other social media platforms as well. It will help you increase video views and subscribers your channel. Further, once you reach the minimum level of views and subscribers, even YouTube will offer you multiple options to monetize your YouTube channel. If you love to coach or consult people for their queries then social media could help you do it effortlessly. Here, you can use various platforms like Facebook Messenger, Google Hangouts, Skype etc. to connect with your target audience to coach or consult them on different topics. Coaching online is one of the best and quick ways to earn some instant cash. It only requires a laptop and Internet connection to start your coaching or consulting business. Conclusion: While social media accounts offer you an effective platform to brand your product it also offers you reliable earning source for your living. Here, we have discussed some best ways how you can earn through your social media accounts. If you know more such ways, feel free to comment below.